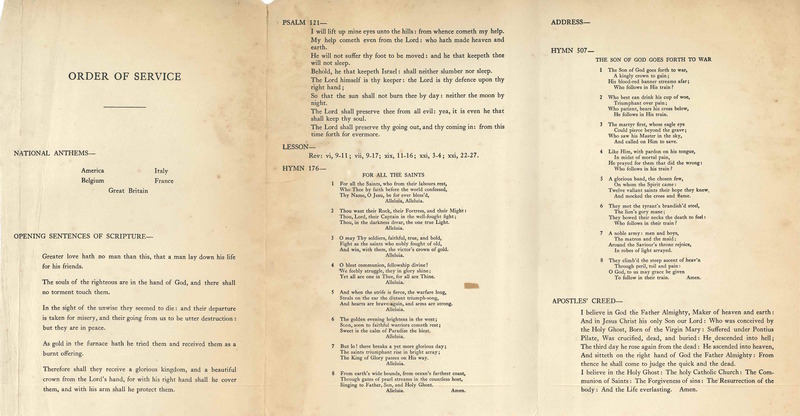 This entry was posted in Memorial Church of St. Luke the Beloved Physician and tagged Bustleton, Northeast Philadelphia, World War I on November 10, 2017 by mjk38. 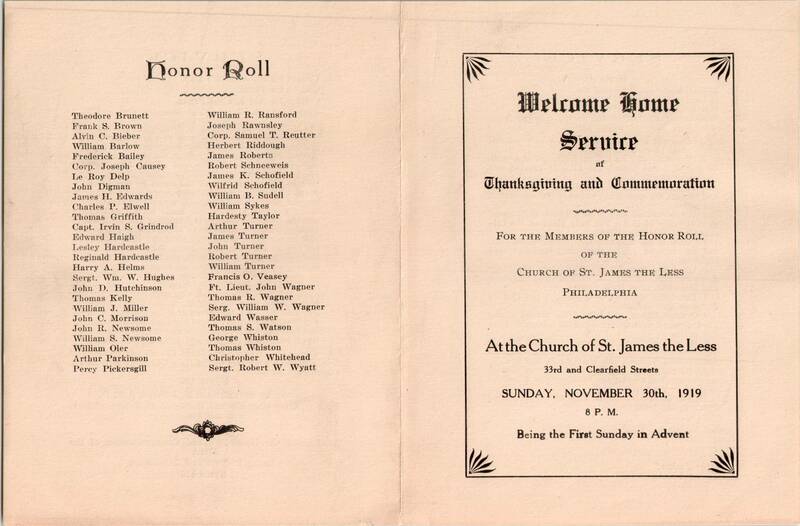 This entry was posted in Church of St. James the Less and tagged Allegheny West, Anglo-Catholic Parishes, East Falls, Edward Miller Jeffreys, Falls of Schuylkill, World War I on November 11, 2015 by mjk38. 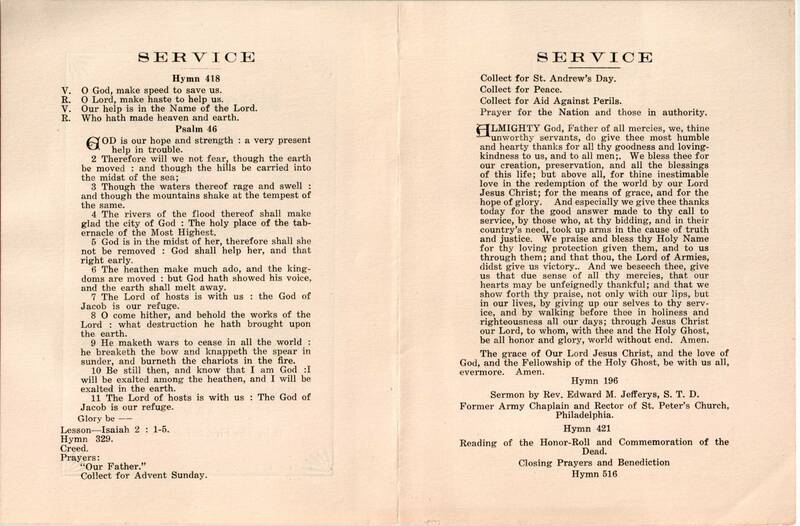 This entry was posted in St. Luke's Church (Germantown) and tagged Battle of Ypres, Belgium, First Canadian Contingent, Harry G. Milson, World War I on November 11, 2015 by mjk38. 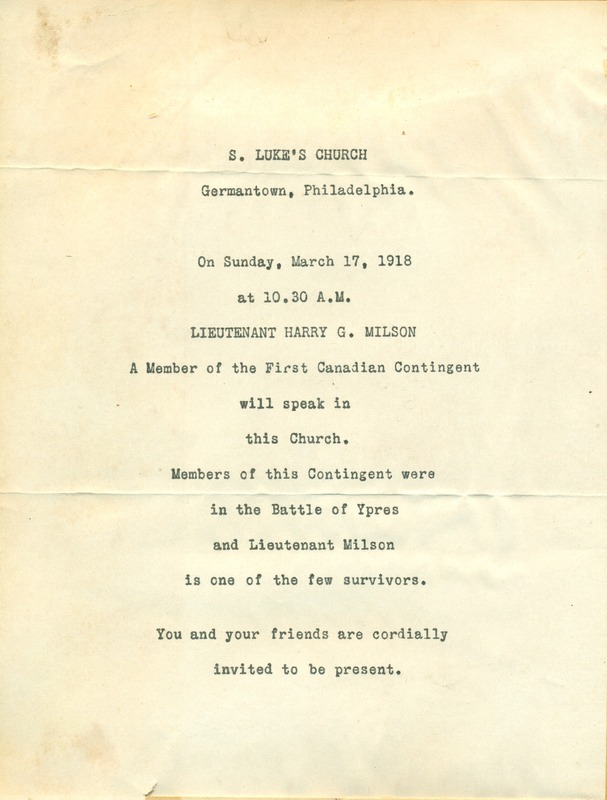 This entry was posted in St. Mark's Church (Philadelphia) and tagged Anglo-Catholic Parishes, British Officers' Club, Center City, Douglas Tester, English Speaking Union of Philadelphia, First Troop Philadelphia City Calvary, Michael S. Seiler, Richard Alton, Rittenhouse Square, St. George's Society, World War I on November 10, 2015 by mjk38. 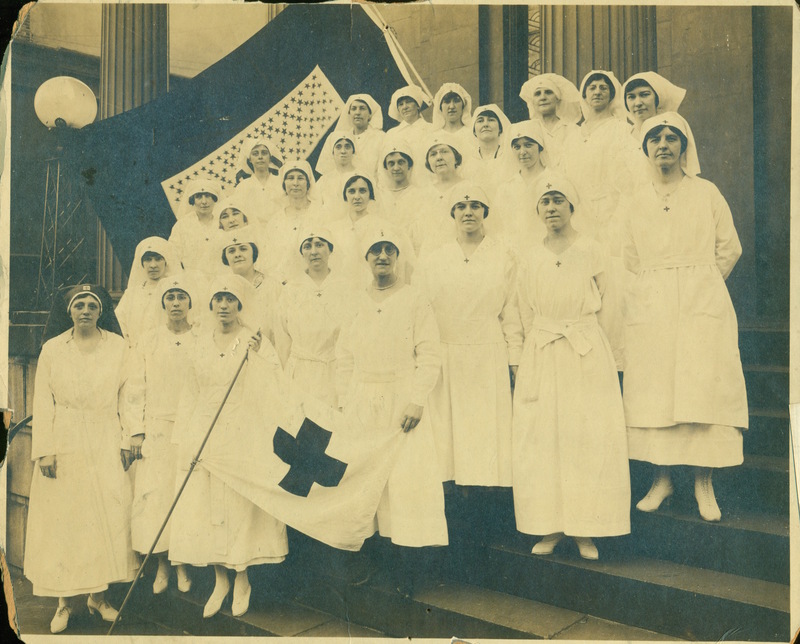 This entry was posted in Church of St. Luke & The Epiphany and tagged American Red Cross, Center City, Gayborhood, World War I on November 7, 2015 by mjk38. This entry was posted in Church of the Holy Trinity (Rittenhouse Square) and tagged Center City, Rittenhouse Square, World War I on November 4, 2015 by mjk38. 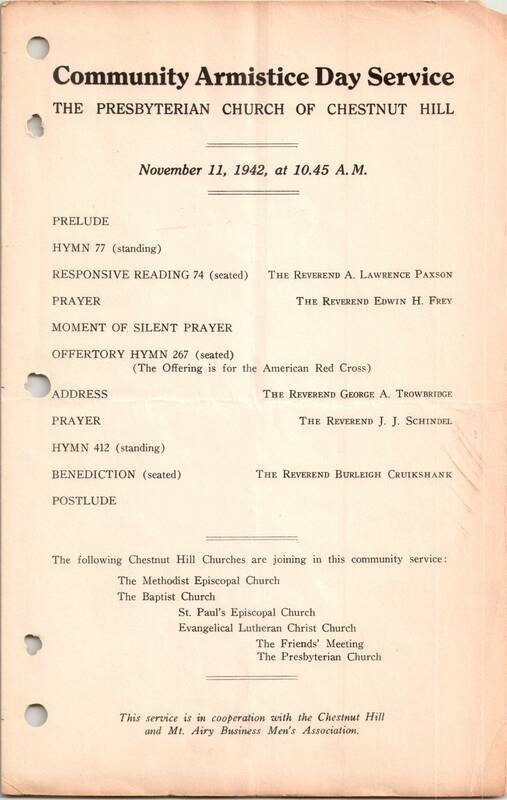 This entry was posted in St. Paul's Church (Chestnut Hill) and tagged A. Lawrence Paxson, Burleigh Cruikshank, Chestnut Hill, Edward H. Frey, George A. Trowbridge, J. J. Schindel, Northwest Philadelphia, Presbyterian Church of Chestnut Hill, World War I on October 23, 2015 by mjk38. 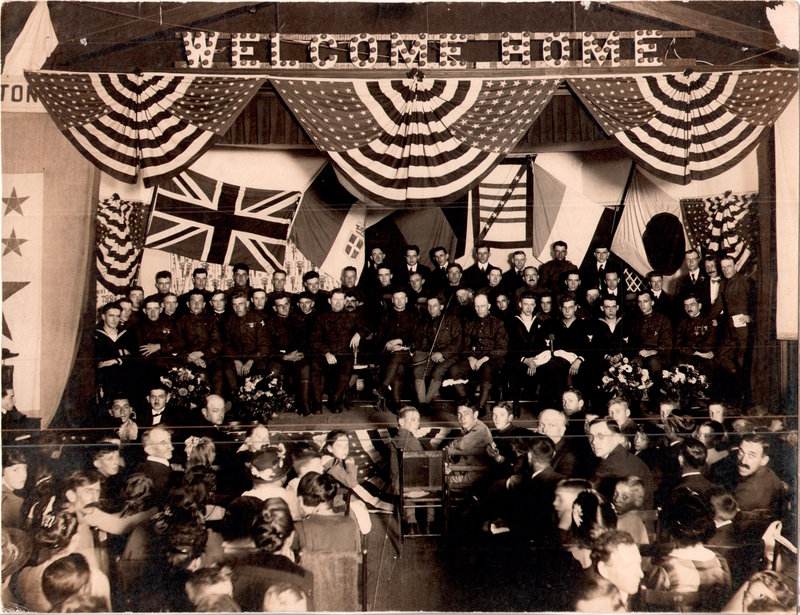 This entry was posted in Church of the Epiphany (Sherwood) and tagged American Legion Post 20, American Legion Post 83, Angora, Church News of the Diocese of Pennsylvania, Cobbs Creek, Joseph Cullen Ayer, Louis Maull, Samuel F. Houston, West Philadelphia, William Newman Parker, World War I on October 19, 2015 by mjk38. 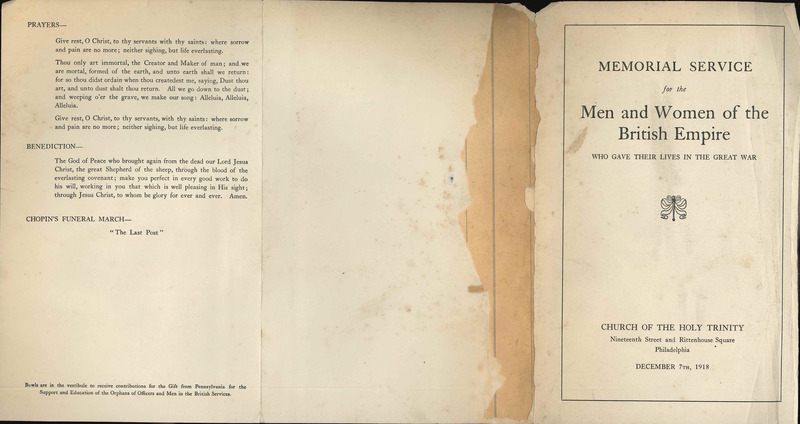 This entry was posted in St. Stephen's Church (Philadelphia) and tagged 103rd United States Engineers, Carl E. Grammer, Center City, World War I on August 23, 2015 by mjk38. 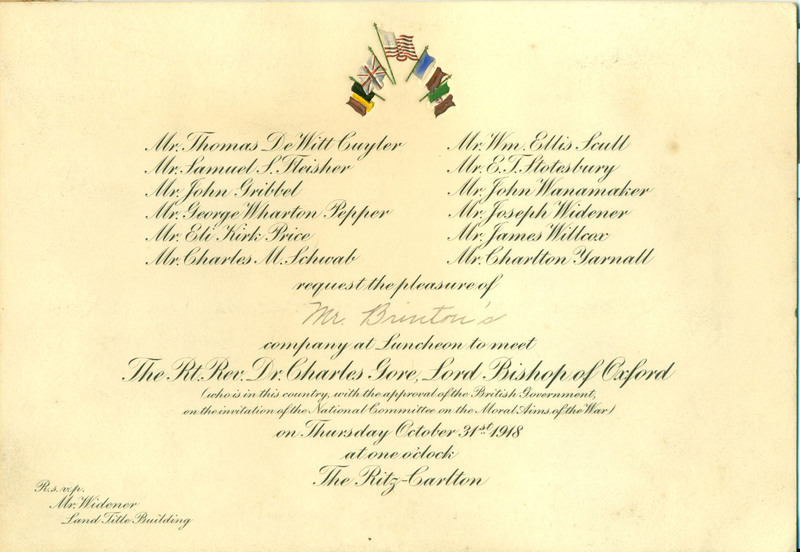 This entry was posted in St. Luke's Church (Germantown) and tagged Center City, Charles Gore, Charles M. Schwab, Charlton Yarnall, E. T. Stotesbury, Eli Kirk Price, George Wharton Pepper, James Willcox, John Gribbel, John Wanamaker, Joseph Widener, Lord Bishop of Oxford, National Committee on the Moral Aims of the War, Ritz-Carlton Hotel, Samuel L. Fleisher, Thomas DeWitt Cuyler, William Ellis Scull, World War I on March 9, 2015 by mjk38.